I am just about to return to the UK for a visit, my first in over a year. I used to live in Oxford, up-river from London, and used to spend many hours cycling about the city. 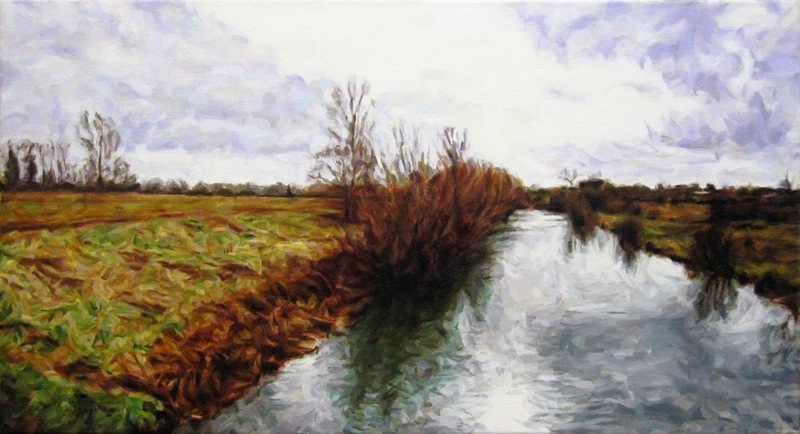 One of my favourite places is the River Cherwell at the Marston Ferry Bridge. I have often stopped to look at the view of countryside within the city, surrounded on all sides by buildings, but seeming miles from anywhere. 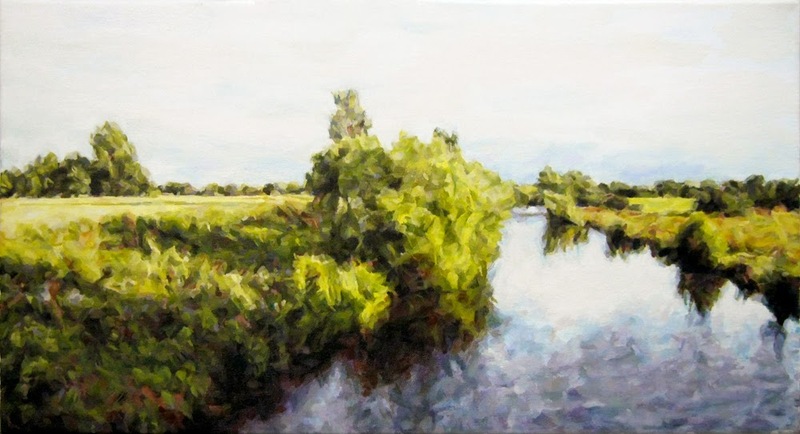 I painted the same scene one summer and again the following winter; it changes, but is still the same, the Cherwell flowing its way towards joining with the Thames. I currently have these two paintings mounted side-by-side in a custom common frame that turns them into a diptych.